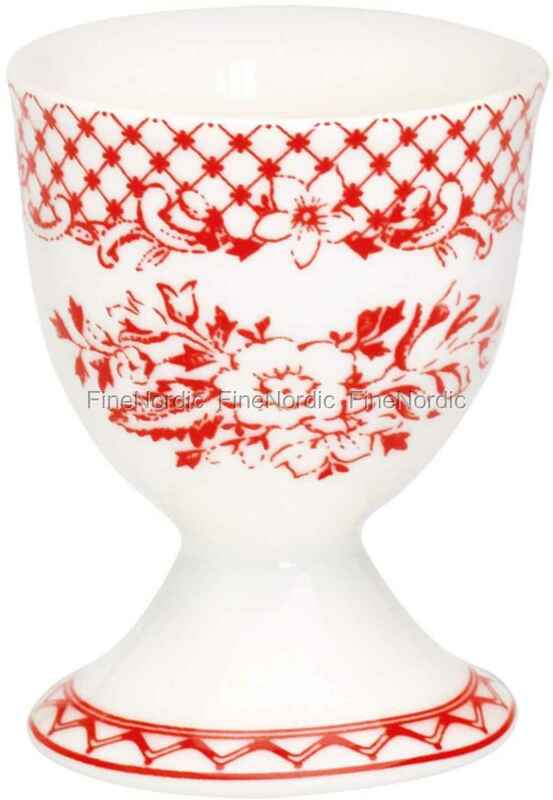 Your soft-boiled egg will taste twice as good, when eaten from this delicate eggcup, Stephanie Red by GreenGate. The delicate red colored flower pattern on white background and the exquisite border, make the Stephanie Red eggcup a real eye catcher on your breakfast table. Eggcellent!